ASSA ABLOY has supplied a Northampton primary school with a range of products as the school undergoes a £4.2 million refurbishment. Barton Seagrave School is a co-educational primary school, based in Kettering for children aged between four to eleven, and will provide 630 places for pupils when building concludes. 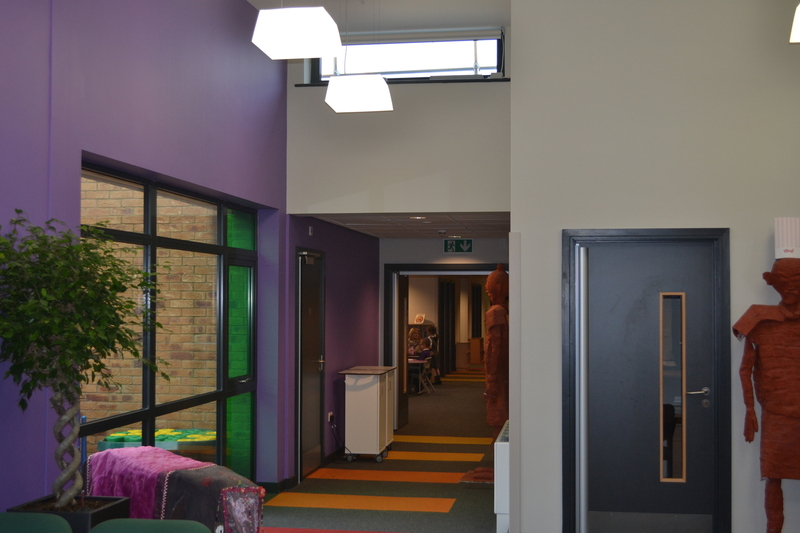 The Key Stage 1 and 2 school buildings have been amalgamated, providing new opportunities for flexible group learning, as well as communal areas for community groups and after school clubs, creating an integrated, vibrant learning environment. GSSArchitecture has specified ASSA ABLOY’s timber doorsets for the project. Educational establishments require some of the greatest durability ratings of any doorset installation, and ASSA ABLOY’s timber doorsets fulfil requirements outlined in the Government’s Best Design Practice for schools. In addition, the DC500 CAM-motion door closers have been installed, providing a low opening force. This allows ease of access, as well as adhering to the Equality Act (EA) – specifically BS 8300 and Approved Document M (ADM) of the Building Regulations, ensuring that buildings will be fit for a range of users, including children and those with disabilities. GSSArchitecture has also retrofitted ASSA cylinders in an existing master key suite at the school, as they are adjustable and easily installed. All components are manufactured from high quality material ensuring a high degree of reliability and durability. ASSA ABLOY stainless steel door furniture and ASSA modular locks were also supplied for the building project. “It is important to provide the right level of security and safety in schools, while at the same time maintaining a welcoming learning environment for pupils. Products from ASSA ABLOY are reliable, durable and will therefore stand the test of time”.